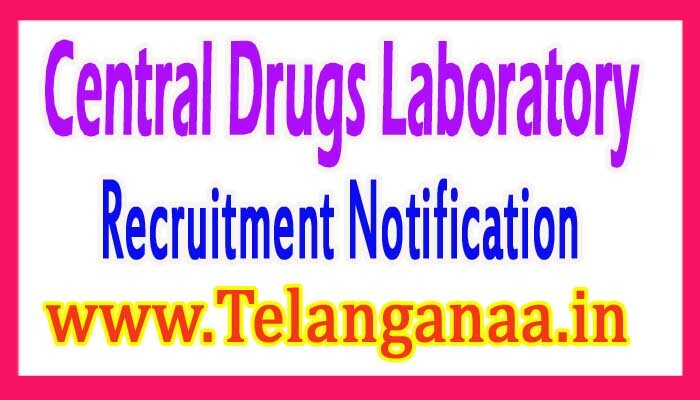 Central Drugs Laboratory has published recruitment notice for 15 chemists, assistant, data entry operator Posts. All eligible and interested candidates can register online or before 31-01-2017 (31st January 2017). More detailed information on qualifications, age limits, selection procedures, examination pattern, curriculum for central drug laboratory Recruitment 2017 - 15 pharmacy, assistant, data entry operator post is mentioned below. Age limit - The age of the candidates should be between 21 and 40 years (Post 1,3,4). The upper limit of candidates should not exceed 50 years (point 2). Educational Qualification - Candidates should have completed a 10/12 / diploma / graduation degree / postgraduate degree or equivalent qualification from a recognized university. Number scale - Rs 25,000 / - (Post 1), Rs. 12,000 / - (Post 2,4), Rs. 15,000 / - (Post 3). How to apply - All eligible persons and interested parties can download application form via the official website http://www.cdsco.nic.in. After completing the application form, the applicant must send a written copy of the application together with relevant certificates to the following address before or on 31 January 2017. Address -Office of the Director, Central Drug Lab, 3 KYD Kolkata - 16. 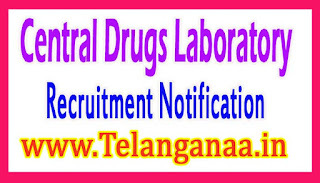 Click here for Central Drugs Laboratory Recruitment 2017 Detailed ad.